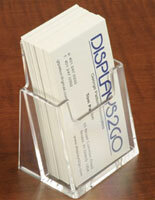 Looking for an attractive way to distribute your contact information? 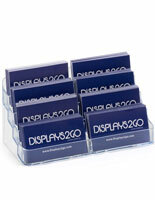 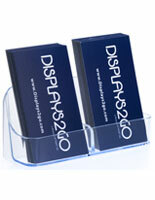 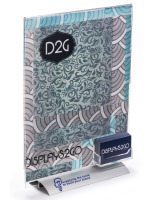 The business card display is great for desktops such as office tables, retail countertops and reception desks. 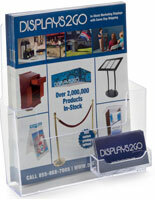 The promotional rack is available in a variety of designs for any environment. 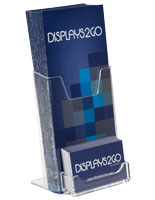 Each stand has a simple construction that directs attention to its content rather than itself. 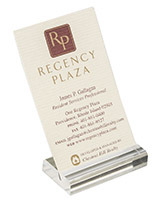 The name card display can be made of clear acrylic that shows contact info to visitors and goes with any décor. 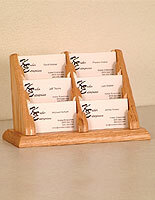 Alternatively, the business card display, or calling card stand can have a traditional wood fabrication that is available in different finishes. 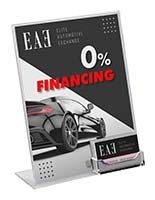 All holders are economically priced, no matter what they are made of or what features they have. 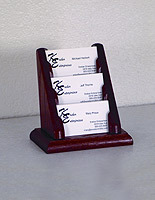 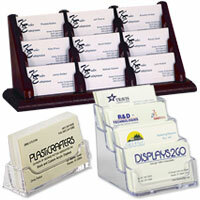 The reception desk contacts rack can also showcase brochures and signs along with the contact information. 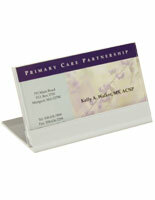 While the namecard display is small, it is available in an assortment of shapes and sizes. 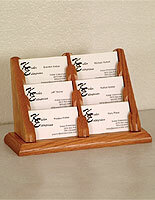 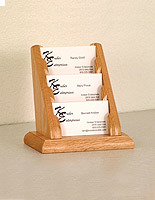 What kinds of desktop calling card stands are there? 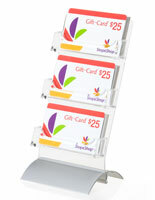 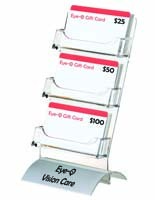 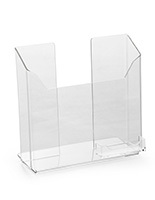 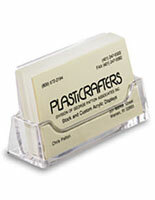 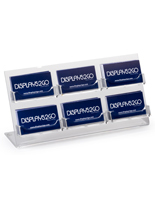 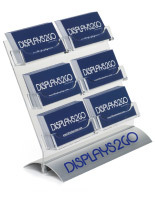 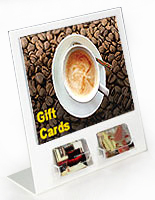 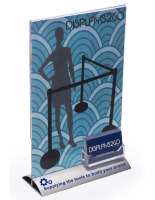 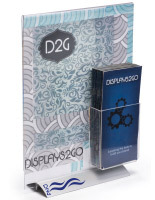 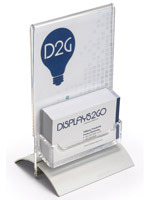 Business card displays are available as acrylic racks that showcase a single namecard. 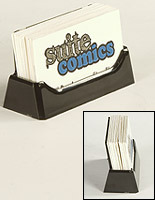 The office contact holder shows its entire face in a landscape orientation for customers and visitors. 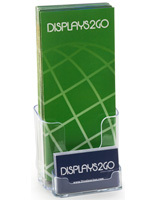 The angled rack is simple and allows information to be changed easily. 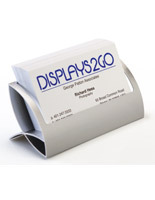 This business card holder is ideal for organizations on a tight budget and can make an economical name plate for office desktops. 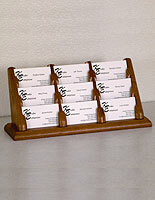 A countertop rack holds many calling cards at once for visitors to take. 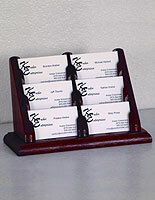 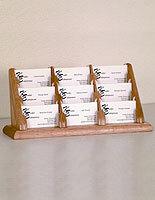 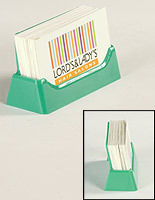 The holder can have one shelf or as many as (9) pockets for showcasing different contact info. 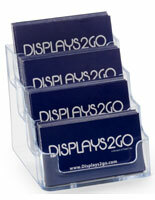 This card display has an angled design with tiers to keep its contents organized. 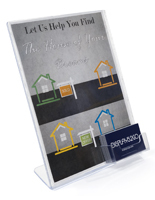 The fixture is available in wood, Plexiglas, aluminum or clear acrylic to complement any interior. 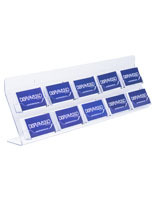 This credential enclosure is great for organizations that want to give contact info to clients and need a compact organizer. 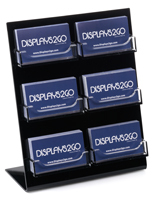 Another type of card display for reception desks includes a sign area for a company logo, advertisement and other messaging. 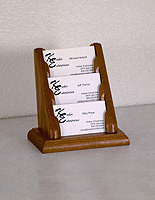 The office stand is available in different sizes and with an angled or straight design. 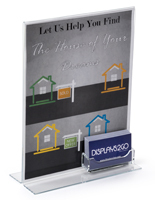 The countertop card display rack is excellent for attracting customers at trade shows and public events with its large sign showcase. 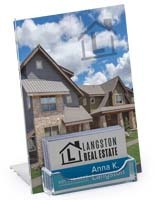 Interested visitors will be able to take a card, spreading awareness of the company, brand or agent. 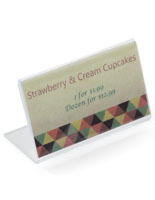 The countertop frame displays a simple sheet of paper, meaning no special graphic printing is required. 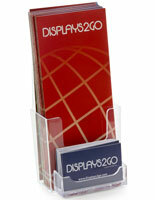 The desktop contact card display can also showcase brochures with contact information. 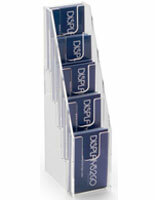 The combination rack can fit slim booklets and even full size catalogs. 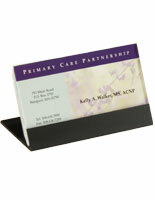 Customers will have the option to take a namecard, a full brochure, or both, allowing more information to be passed on. 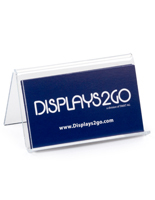 The tabletop business card holder for reception desks is made of clear acrylic to give the literature maximum visibility. 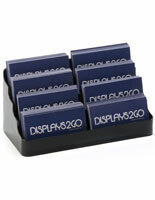 The countertop display is excellent for publicizing employees and companies with their compact design. 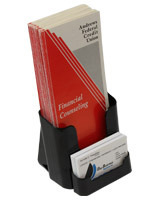 The assortment of professional brochure racks with contact pockets can also be used for dispensing brochures and advertising services while showcasing namecards. Whether it is made of wood, Plexiglas, acrylic or metal, the plastic card display is ideal for distributing contact info.